A father who never forgave himself after his son died in his arms at Hillsborough passed away himself before the new inquests were ordered, a coroner's court heard. Eddie Spearritt regained consciousness in hospital the day after the tragedy to be told his son Adam, aged 14 years and 10 months, had died despite his desperate attempts to save him from the crush on the Leppings Lane terraces. Janet Spearritt, Adam's mother and Eddie's widow gave another poignant pen portrait of one of the 96 Hillsborough victims, at the new inquests into the disaster. She said her husband had desperately tried to save their son and struggled to forgive himself afterwards. "He would say it was his job to protect Adam and he failed," Mrs Spearritt said. "Sadly Eddie died three years ago without really knowing that his efforts in helping to fight for a new inquest were coming to fruition." Ms Spearritt said her football-mad son had a ball at his feet from the moment he could walk, would watch his father play football, read Roy Of The Rovers magazines and collect football stickers. She told the jury that many a time they would glue Subbuteo players back together and set up the children's game "so that England could beat Brazil in the World Cup final." He loved being on the Kop at Anfield watching his heroes, Kenny Dalglish and Alan Hansen in the red of Liverpool. She said: "He had a kind, caring considerate nature. We all loved him dearly and he in return loved all of us, but more than that he loved life itself." The inquests held before a jury in Warrington, Cheshire, resumed after being adjourned for a week as the 25th anniversary of the tragedy was marked. 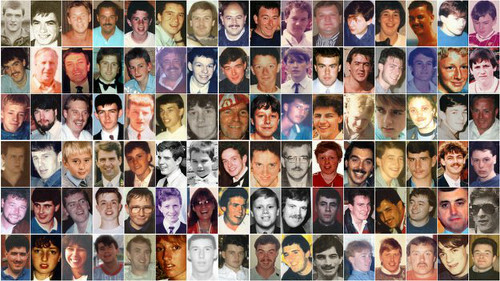 The hearing continued with heart-rending 'pen portraits' as each bereaved family gave brief statements about their loved one who died as Liverpool played Nottingham Forest in the FA Cup tie at Hillsborough in Sheffield on April 15, 1989. Craig Fitzsimmons told the jury about his father, Vincent Fitzsimmons, who was aged 34 when he died at Hillsborough. Born in Liverpool, his family moved to the US for three years when he was 13, but returned to settle in Winsford, Cheshire. Later he moved to Ashton-in-Makerfield, near Wigan, and worked as a supervisor for Linpac Mouldings. Mr Fitzsimmons, flanked by his mother Susan and wife Natalie, said: "Dad was bigger than life, as far as I was concerned he could do no wrong. I loved him so much. He was friendly, outgoing and full of fun. "I was so lucky to have him as my dad. I was only nine years old when he died." His father, who played football himself, would hold his son up on the Kop as they watched their heroes play at Anfield. "If I close my eyes now I can see my dad playing football," Mr Fitzsimmons said. He added: "When Dad died it left a huge void in my life. I suppose I have never really got over the fact that I lost my dad so suddenly in such an awful way. "I have missed his love, support and advice over the years. He was not present on the day that I got married and the birth of his first grandchild." Raymond Chapman was 50 when he died, a husband to Joan and father-of-two. 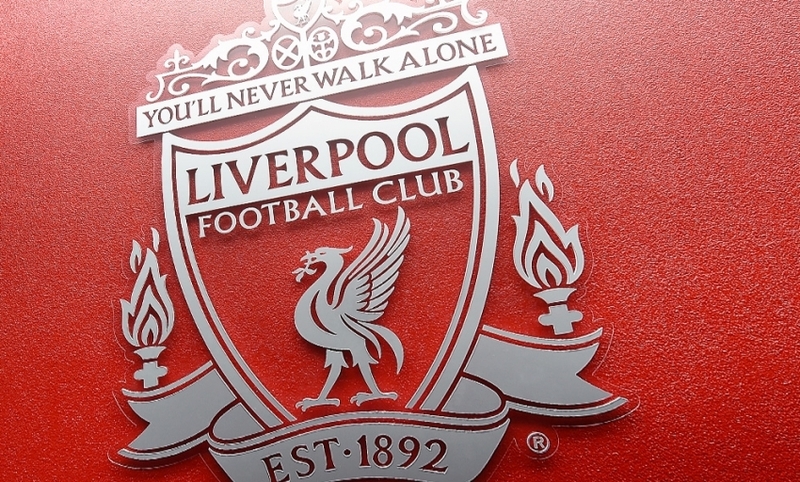 A machine setter who lived in Wirral, he loved nothing more than watching Liverpool play and only went to the Hillsborough game after a friend at his local pub could not go and gave him his ticket. He went with four friends and only two returned home, the jury heard. Son of Andrew Chapman and daughter Karen Upton, in a joint statement, said their father was a hard-working man, providing for his family and a "tower of strength in our times of need". They said he also found "the words and actions required, helping us through life". But he had missed out on walking his daughter up the aisle on her wedding day and meeting his grandchildren, they said. "Our dad was a kind, caring, considerate man who always put others first. It was impossible to believe he would never be coming home," they added. Brenda Fox, mother of Thomas Steven Fox, who died aged 21, said her son was their first child and the family's first grandchild and grew up in Birkenhead. "I fondly remember Steve as a little sod, I needed eyes in the back of my head," she told the jury, to a ripple of laughter. His teachers at Plessington High School told her he needed 'no practice in the art of conversation' while in class, he served as an altar boy at his local church and got a paper round before starting a YTS at Cadbury's chocolate factory where he worked at the time of his death. Mrs Fox added: "A great boy died on April 15, 1989, along with a potential husband, father, uncle and friend. He is still greatly missed by all who knew him." Hilda Hammond next told the jury about her son Philip, a 'typical' 14-year-old boy. He played football, was a member of the Boys' Brigade, loved golf and had the odd teen temper tantrum when he would "stomp up to his bedroom shouting 'I hate this house!'" His old school, Calderstones in Liverpool, named its new sports hall in his honour, his parents, Hilda and Philip, proudly attending the opening ceremony, the court heard. Mrs Hammond said: "Hopefully you can understand how much we miss him. We were certainly blessed to have such a lovely boy, even though it was for only 14 short years. We still miss him very much." A statement from Valerie Thomas about her son David Thomas, aged 23 when he died, was read. "He was just becoming a man when he was taken from us," she said. David had used money given to him for his 21st birthday to put a deposit down on a house and started his own painting and decorating business, and was "quite successful in his short life", Mrs Thomas said. "I find it hard to talk about him now," she added. A further statement from his brother-in-law, who was not named, added: "He had no hidden character. What you saw and heard was what you got. His broad grin always met you no matter what problems of his own lay beneath." Linda Kirby wrote about the 'love at first sight' she had for husband David Rimmer, who was aged 38 when he died. He was father to Paul and Kate, then aged nine and seven, who took turns to read their mother's statement. Mr Rimmer left school at 16 and was on the 'director track', his boss had said, as he excelled in his job as a sales manager. "Everything seemed to be happening for us," Ms Kirby said. She recalled how they saved up for their first family holiday abroad to Spain. She added: "We thought ourselves 'we finally made it' and just like that everything was gone, everything was taken from us." Mrs Kirby said when she read the Hillsborough Independent Panel Report, paving the way for the new inquests, she "felt as though Dave's soul was on the way to being at peace at last". Delia Evans-Brown told the jury in her statement about her son Carl, who died aged 18. It was read by a family friend, Karen Aspinall. She said he would follow his brother Mark, four years older, 'like a shadow' and whenever there was a craze he was 'hooked' whether it be skateboarding, CB radios or BMX bikes. "His drive and complete enjoyment was infectious," she said. At senior school he became an 'avid' Liverpool fan and season ticket holder, and had secured a place to study at Manchester University. Mrs Evans Brown added: "He only had a short life but it was a very successful and happy one. Carl's dad, Terry, died suddenly at the age of 57 from a heart attack. "Our family unit has changed forever but I visit them both every day and I know now that Terry is reunited with his son." David Hughes told the jury about his father, Eric Hughes, aged 42 when he died and known to his friends as Eric the Red. Born in Speke, he met his wife, Pat, in 1967 at the Peppermint Lounge in Liverpool and they were married three years later at Sacred Heart in Kirkby. A devoted father and Liverpool fan, he wanted to call his son Emlyn - after the Liverpool great Emlyn Hughes - but this was ruled out by his wife. David Hughes said his father took him all over the country watching Liverpool and '99 per cent' of his memories of his father related to going to watch the game with him. They went to Wembley together in 1981, 82, 83, 84, 86, 87 and 88 and it was a 'shock' when his father could not get him a ticket for the Hillsborough cup tie - from which he never came home. Mr Hughes, choking back tears, added: "A man that meant everything to me. He was my hero. I loved my dad so much, I idolised him. "I was 17 years old when he died. I never even got to buy him a pint. I will forever miss you Dad, you will never walk alone."